The poisoning of the animals in Taman Rimbo Zoo is a bit sickening. It may of course be entirely accidental or part of a two part plan. I would be inclined to see that the bodies are completely and utterly destroyed after investigations are over because dead tigers are worth more than live ones. You may recall that it was in Taman Rimbo Zoo that someone sneaked in one night, killed a tiger and made off with the skin. Then again there are some very sick people out there who get their kicks in the oddest ways. In my personal career I can recall animals being shot by visitors, being fed drugs, given razor blades or knives to play with. I remember with disgust a Gerenuk being raped and murdered. I could go on but won't. We should watch all of our visitors all of the time. The Toronto Zoo Elephant saga rumbles on. In the links below there is a lengthy article which outlines all the information as we have it. I encourage you to read it. You should keep an open mind….always. So, yet another Tiger Attack at the infamous Tiger Temple in Kanchanaburi. Seemingly it took place about two months ago but has only just hit the news. One wonders how many other attacks never get reported at all. Going in with or walking with big cats is always an accident waiting to happen. It isn't necessary to have this close contact. The trouble is we are never going to stop it in places like Thailand when places in Australia and elsewhere still carry it out. The article on Dhaka zoo took my attention when it stated "Moreover, the zoo does not have equipment to check the quantity of formalin in the food supplied to animals". What a curious thing to say. Made me wonder. No place I have ever worked has tested for formalin so I wondered why it should be necessary. How about you? Do you test for formalin? Two Rhino bites in quick succession…unusual. It happens of course. Painful too. I am heading off to Bristol in the UK tonight to attend the Penguin Conference. Looking forward to it. The burglary last week at a Riverside pheasant farm by the Animal Liberation Front is a reminder that animal-rights terrorism, described a decade ago by the FBI as a top domestic terror threat, is still in our midst. From burglaries to bombs, businesses, their employees, and even family members have been targets of animal-rights terror campaigns. The crimes in Riverside follow an attempted firebombing of a police car in Vancouver, computer hacking of a New York business, a mink-farm burglary in Idaho, vandalism at a San Diego fur store and threats from a terror group to “destroy” farms across Utah, all in 2013 alone. And unfortunately, this coincides with a misguided movement under the mask of “free speech” to roll back anti-terrorism laws. The New York City Bar Association is encouraging the American Bar Association to push for a repeal of recent terrorism laws that help fight self-anointed vigilantes. The NYC Bar is targeting the Animal Enterprise Terrorism Act, passed in 2006 to stiffen the 1992 Animal Enterprise Protection Act, and wants the American Bar Association to pressure the Justice Department to cease enforcing the law. Congress passed the Animal Enterprise Terrorism Act following the arrests of animal activists with a New Jersey-based group called “Stop Huntingdon Animal Cruelty,” a group opposed to necessary research involving animals. The group used tactics ranging from death threats to computer attacks to intimidate not just its target company, Huntingdon Life Sciences, but affiliate companies, their employees, and family members. Ultimately, six of the group’s activists were convicted and sent to federal prison with sentences ranging from one to six years. The Animal Enterprise Terrorism Act was a needed upgrade that made moderate changes to the law by giving federal law enforcement authorities more power to go after terrorists. The act expanded the definition of “animal enterprise” to include intimidating or threatening people or their family members who are involved in animal enterprise, ranging from medical research and agriculture to pet stores. Importantly, the act has an explicit provision that protects the First Amendment rights of the activists. The group Zoos Matter has fought tirelessly to stop the proposed transfer of the Toronto Zoo elephants to the PAWS sanctuary. If you do not know of the story please sit back and prepare yourself because the truth about the Toronto Zoo elephants is the most despicable act of animal exploitation at the expense of true animal welfare. Upon arrival to his new job as CEO of the zoo John Tracogna’s first act was to phase out our African elephant exhibit. The issue cited was money, not enough to do the necessary upgrades. 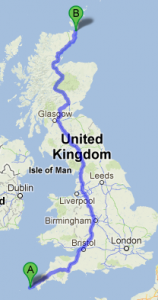 Rupert Beck and Dominic Wormell are planning to cycle from Land’s End to John O’Groats at the end of August to raise much needed funds in support of the Orangutan Land Trust and Earth 4 Orangutans. We both have a strong passion for wildlife conservation, and the red ape in particular; Rupert as a former orangutan keeper at the Durrell Wildlife Conservation Trust (Jersey Zoo) and Dom as the current head of the Mammal Department at Durrell Wildlife. As many are aware Sumatra’s orangutans are on the cusp of extinction (along with a myriad of other species) through the loss of their rainforest habitat in northern Sumatra. We are raising funds through the Orangutan Land Trust for the project that is Earth 4 Orangutans. 100% of all donations goes directly to Earth 4 Orangutans. This project in conjunction with the Sumatran Orangutan Conservation Programme, will involve the construction of a dedicated Orangutan Haven and Wildlife Conservation Centre in northern Sumatra, primarily to care for the long term needs of orangutans that cannot be returned to the wild and to serve as an important wildlife conservation and education centre. Eight weeks on, Miss Brennan is recovering at home in Harrogate, North Yorkshire, but cannot walk unaided, while doctors said the four-inch wound will leave her scarred for life. SeaWorld executives rarely respond to criticism beyond a sentence or two. But today, the vice president of zoological operations for SeaWorld San Diego, Mike Scarpuzzi, published an entire editorial in the U-T San Diego. SeaWorld's reticence is notoriously well known. Whenever the corporation has been criticized in the past, its response has never progressed beyond two sentences. Their rebuttals inevitably include two standard phrases, "SeaWorld educates" and, "SeaWorld cares for its animals." So it was rather a shock when SeaWorld initially broke its silence over the documentary Blackfish, a film that is making as many waves as SeaWorld's own killer whales. Recently, a former SeaWorld pass holder was so disturbed by the film that he cut up his season pass and declared that he would never visit the park again. In its initial rebuttal to the movie, the corporation refused to address the issue publicly. It chose to target around 50 film critics instead, with an e-mail that described the movie as, "egregious and untrue." Get those who know animals and their food habits to run the Dhaka Zoo is the advice given by the parliamentary committee of the Ministry of Fisheries and Livestock. Or else the Dhaka Zoo will suffer much, they said in a report. At the moment, the zoo is being run by those who lack knowledge of food for animals, with the result that poor quality of food is being supplied to them, the committee observed. A sub-committee was formed on Feb 17 to probe the irregularities plaguing the zoo which submitted its report to the panel on Thursday. The zoo authorities do not maintain a chart on food fed to animals and its quantity does not meet global standards, the report said. bdnews24.com has a copy of the report. 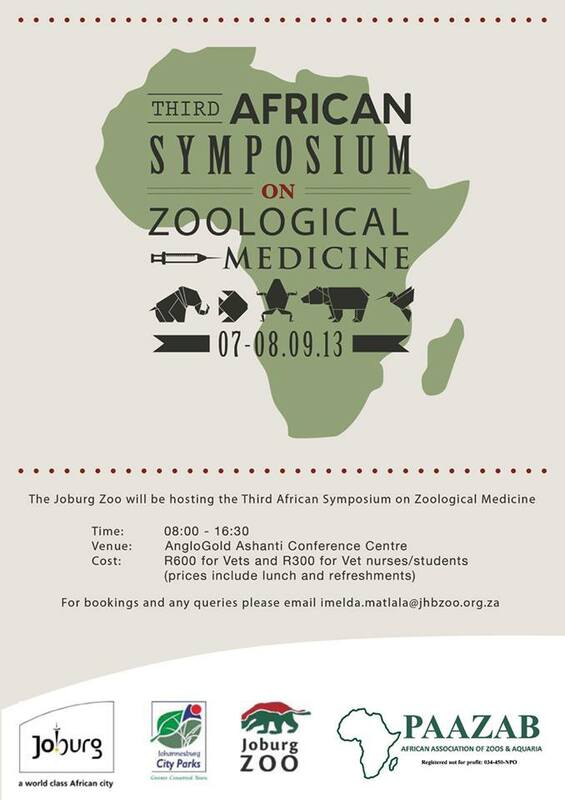 Moreover, the zoo does not have equipment to check the quantity of formalin in the food supplied to animals. Formalin is extremely hazardous preservative that can damage the animals. The report quotes Deputy Curator of the zoo Masudul Hasan as saying that the animals are given inadequate food. Asked why, the sub-committee convenor Zafar Iqbal Siddique said the animals brought from abroad are supplied with food based on their ‘purchase time age’, meaning what was applicable when they animals were brought. “But the animals need additional food and nutrition with age and that is being ignored,” he told bdnews24.com. An animal keeper Basavaraj was attacked by a Hunting Cheetah at the city Zoo yesterday, resulting in the former losing a part of a finger of his left hand. The Cheetah was said to have had an injury on one of its legs and three Zoo-keepers, including Basavaraj, were reportedly applying ointment on the injury in its enclosure under the watch of the supervisor K.R. Uthappa. At that moment, the rather agitated Cheetah bit the tip of the finger of Basavaraj who was immediately rushed to Shantaveri Gopalgowda Hospital. Meanwhile, doctors of the hospital said cross finger slap surgery had been performed on Basavaraj’s finger and is recovering. It is also reported that the zoo-keepers had entered the Cheetah’s enclosure to tend to its injury without first sedating the animal. A FOUR-year saga came to an end yesterday when the South Lakes Wild Animal Park was given the go ahead to expand. The zoo is set to celebrate its 18th birthday in style after plans for the park to grow by almost three times were given the green light. Fifteen new jobs are set to be created and park owner, David Gill, has pledged to use only local contractors to carry out the £4m development. Speaking from his ranch in Wyoming, Mr Gill said the expansion would see some ‘major new arrivals’, with the zoo becoming a ‘flagship attraction’. He said: “I’m very happy, it’s been a long time in the planning. “I think the first plans were originally drawn up about four years ago. “I have an enormous feeling of relief and am so glad that common sense has prevailed. “There will be a minimum of £4m being spent, and this will go into the local economy. National body the Planning Inspectorate yesterday chose to grant planning permission to extend the Dalton zoo. In July last year, the plans were initially rejected by Barrow Borough Council’s planning committee. The committee chose to turn down the proposals as they had concerns about the size and character of the development, and about traffic problems which they believed would occur if traffic had to access the park from the proposed new entrance, the U6097, which leads to Melton Terrace. However, Mr Gill appealed to the Planning Inspectorate, which ruled in his favour. Independent inspector Paul Dignan ruled the council’s concern that such a large development would have a negative impact on a rural area was outweighed by the benefits of any ‘limited harm’ that would be caused. A Denver Zoo visitor was bitten by a rhino during the feeding portion of the "rhino encounter" program on Wednesday, the Denver Zoo said. The woman was bitten on the finger by Mshindi, a black rhinoceros, around 12:30 p.m. and was transported to the hospital by ambulance. "This is a terrible accident. We feel horrible for the woman involved," said Denver Zoo Vice President for Animal Care Brian Aucone in a news release. "Mshindi is a gentle animal. We believe this was an accident and that he was not trying to hurt anyone." Mshindi has been removed from his exhibit and the zoo's rhino encounter program has been suspended indefinitely pending full review of its procedures. "Mshindi has been hand fed safely thousands of times at Denver Zoo. Mshindi's primary keeper with more than 20 years experience was supervising the program. We are reviewing all the protocols related to the program thoroughly to ensure this never happens again," Aucone said. Like an online dating site for endangered species, many zoos use computerized matchmaking to mate animals in captivity in hopes of saving some of the world's most vulnerable creatures. The tools of the trade range from frozen panda sperm, to genetic databases to ultrasounds for hefty rhinoceroses. But like dating everywhere, it gets expensive, complicated and doesn't always work. After more than three decades of efforts, some experts are taking a fresh look at modern-day breeding tactics. Zoos, they say, cannot keep pace with the high costs of shipping animals from one facility to another, as the loss of wild habitat pushes more and more creatures to the brink of extinction. A movement to improve captive breeding began in the late 1970s when scientists realized that some zoo-held baby giraffes, gazelles and deer were more likely to die if inbred. "That really caused a sea change in zoos because they realized they had to be better at managing captive populations," recalled David Wildt, head of the Center for Species Survival at the Smithsonian National Zoo. Today, survival plans exist for more than 500 species, including cheetahs, Asian elephants and black-footed ferrets. The genetic data of captive specimens is fed into computers so scientists can determine the most diverse matches for each individual. 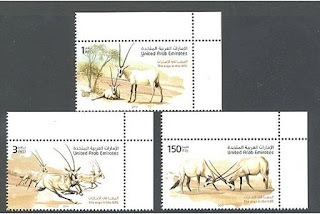 Sometimes the plans work, as for the scimitar-horned oryx, a graceful type of African antelope that was declared extinct in the wild in 2000 due to overhunting and habitat loss. Thousands have been bred in captivity. 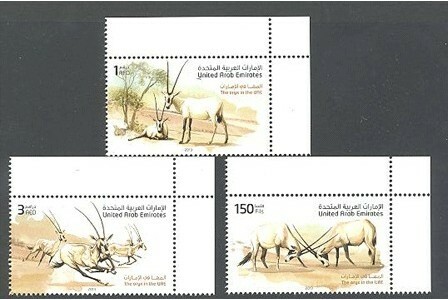 Some have already been reintroduced in Tunisia and there are plans to release more soon, according to the Sahara Conservation Fund. China's giant panda breeding program has also been "extraordinarily successful," said Wildt. Beijing maintains a core population of captive pandas and rents some out to mate in zoos around the world, with the caveat that the animals must eventually return home. "They only have one shot per year," said Pierre Comizzoli, a research scientist who works with the solitary bears at the National Zoo in Washington. The polar bear exhibit at Munich Zoo Hellabrunn was built in 1975 in a sterile style dominated by plain concrete. This exhibit was recently renovated and enlarged to include the previous musk ox exhibit with natural ground and vegetation. Now the bears have more space and various substrates to use. The exhibit also allows the animal management team to provide better care for the polar bears and the visitors to enjoy a more interesting experience in a more naturalistic setting. We would like to thank Beatrix Köhler from Zoo Hellabrunn and our intern Hannah Gaengler for presenting this exhibit. In their book "Zoo Animal Welfare" Terry L Maple and Bonnie M. Perdue give an overview of the state of the art in zoo animal welfare and how to measure it. They also offer a vision of desirable developments in the field. While achievement of the five freedoms for animals can be considered the basis of animal welfare, the authors advocate for animal wellness as the new goal. Scientific research methods need to be refined for measurements of positive effects of animal management beyond physical health, reproduction and longevity. The authors suggest natural behavior, choice and dignity as important additional criteria for evaluating zoo animal welfare. MAPLE, Terry L., PERDUE, Bonnie M. (2013) Zoo Animal Welfare. Springer, Heidelberg. 209 pages, 66 illustrations, 58 illustrations in colour. Belfast Zoo's oldest Asian elephant, Jenny, has died aged 53. Jenny joined Belfast Zoo's elephant sanctuary, for elderly non-breeding females, in April 2009. The elephant which was born in 1960 once lived in an Italian circus before being re-homed at the zoo before passing away on Friday. Belfast Zoo said they were deeply saddened by the death and had temporarily closed the elephant enclosure. Belfast Zoo vet, Michael Griffith, spent a lot of time with Jenny during her time at the zoo. "Jenny once lived in an Italian circus and during her time there she accidentally stood on a tent pole, causing damage to one of her feet," he said. A Japanese university and zoo are creating a sperm bank for endangered animals that could one day be used to bring extinct species back to life and even help to colonise other planets with Earth’s rarest creatures. To date, scientists at Kyoto University’s Graduate School of Medicine and the city’s zoo have managed to freeze dry the sperm of chimpanzees and a Sunda slow loris, both of which are listed as primates at risk, as well as giraffes. Takehito Kaneko, an associate professor at the university, spent a decade perfecting a method of incorporating a buffer solution in the freeze-drying process to preserve the sperm at the same time as protecting the genetic information within the sample. The scientists were able to bring the sperm back to life by thawing it gently in water. This method preserves the sperm samples very well and technically we believe it is possible to store them for decades or even longer into the future,” he told The Daily Telegraph. Is 'Blackfish' documentary hurting SeaWorld attendance? Attendance at SeaWorld parks across the country has dropped 6% in the first half of the year, but is the decline due to bad publicity or bad weather? SeaWorld Entertainment Inc. has endured some harsh publicity lately with the debut this summer of "Blackfish," a documentary about the treatment of orca whales in captivity. In its latest financial report, SeaWorld Entertainment reported attendance of 10.1 million in its 11 parks in the first half of the year, down from 10.7 million in the same period in 2012. Although overall revenues for the first six months of the year grew by 2%, the company reported a net loss of $56.2 million, or $0.66 per share. Still, representatives for the Orlando-based company reject suggestions that the movie has played a role in reducing attendance. They also say they are not reducing admission prices in response to the drop in attendance. For example, an offer to let children (ages 3 to 9) enter SeaWorld San Diego for free with a paying adult in October was part of a citywide promotion supported by about 100 other businesses, including the San Diego Zoo, SeaWorld officials said. "We are not slashing prices, period," Fred Jacobs, vice president of communications for SeaWorld, said in an email. "'Blackfish' has had no attendance impact." Other discounts recently offered, the park said, are part of a typical theme park effort to increase attendance during the slower fall tourist season. Indonesian authorities are trying to figure out who apparently poisoned a Sumatran tiger and two African lions in a zoo in southern island of Sumatra – and why. The three animals are believed to have died of strychnine poisoning on Aug. 17 at Taman Rimbo Zoo in Jambi. The zoo is a popular tourist site. Authorities have been talking to meat suppliers, zookeepers, a watchman and a lab expert for help in figuring out what happened to the animals. A two-year old Sumatran tiger was also poisoned but may survive. “We’re still trying to develop the case by strengthening the lab result [indicating]that they were poisoned by strychnine,” said Nurazman, the head of Jambi Natural Resources Conservation Agency, who like many Indonesians goes by only one name. The agency is being aided in the investigation by Jambi police and a local government investigator. Strychnine is very tightly controlled in Indonesia. The government uses it to kill stray dogs to reduce the incidence of rabies. Strychnine is not available to the general public. Meg Yancy knows she may be overly attached to Jata, the Komodo dragon that has been in her care since it arrived at the zoo from Indonesia. 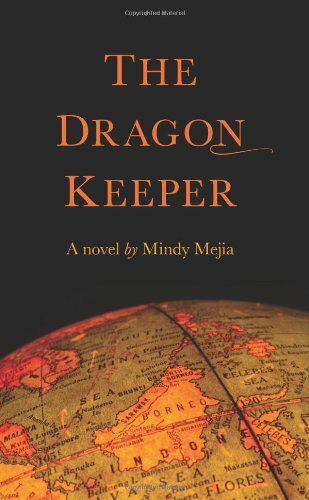 Jata brings the exotic to Meg's Minnesotan life: an ancient, predatory history and stories of escaping to freedom. A species that became endangered soon after being discovered, Komodos have a legacy of independence, something that Meg understands all too well. Meg has always been better able to relate to reptiles than to people, from her estranged father to her live-in boyfriend to the veterinarian who is more concerned with his career than with the animals' lives. Then one day, Meg makes an amazing discovery. Jata has produced viable eggs-without ever having had a mate. Faced with this rare phenomenon, Meg must now defend Jata's hatchlings from the scientific, religious, and media forces that converge on the zoo to claim the miracle as their own. Finally forced to deal with the very people she has avoided for so long, Meg discovers that opening herself up comes with its own complications. And as she fights to save the animal she loves from the consequences of its own miracle, she must learn to accept that in nature, as in life, not everything can be controlled. 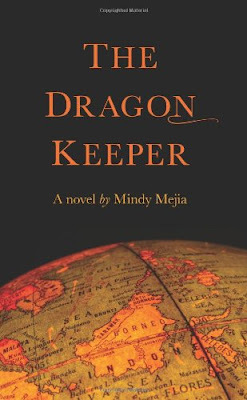 Mindy Mejia's gripping debut novel highlights the perils of captivity and the astonishing ways in which animals evolve. Pandas are the main zoo item right now, the news is full of it. Important as it is it doesn't get as much of a spread as a Chinese Zoo substituting a dog for a lion (see last week). Talking of Lions I note that the Dysfunctional Zoobic Safari has just bred White Lions and like all the rest who have not got a clue starts talking about conservation. I am seriously thinking of compiling a list of all those Dysfunctional Collections which breed White Tigers, White Lions, Hybrid Big Cats and do any sort of handling session with Big Cats. It will, no doubt lose me friends and make me some new enemies but at least I would not be lying to myself. Just what is the Portland Aquarium up to? Something very wrong here. Give some thought to the story about "Zoo worker injured; association cries foul over treatment". I don't doubt that the poor guy is one of the so called "daily wage" staff who in much of Asia are looked upon as less important. The treatment is criminal. I hope he gets justice and respect. It takes guts to complain. He is one of us, a ZooKeeper after all is said and done. Gorillas from Uganda to Chiang Mai? I wonder just what is going to happen there. As a zoo Chiang Mai is not too bad and has some nice exhibits. That China trusts them with their Pandas is a good indication. But Gorillas? Have Uganda got animals to spare. It sounds just a bit like the Taiping 4 all over again. A giant panda gave birth at Washington's National Zoo on Friday, causing a buzz among fans as they flocked to a panda cam's live feed to hear the cub squeal and watch the mother immediately start caring for it. The zoo said Mei Xiang (may-SHONG) gave birth at 5:32 p.m. Friday, two hours after her water broke. Zoo officials said the panda team heard the cub vocalize and that the mother picked it up immediately and began cradling and caring for it. "WE HAVE A CUB!! Born at 5:32 p.m. this evening," the zoo tweeted. "I'm glued to the new panda cams and thrilled to hear the squeals, which appear healthy, of our newborn cub," said Dennis Kelly, director of the Smithsonian's National Zoo. Fans of the 15-year-old panda who had been tracking her suspected pregnancy on a Giant Panda Cam flocked to the live feed. With the zoo heralding the cub's birth on Twitter, the pandas' excited fans responded in kind. Congratulations poured in under the hashtag "cubwatch," including hopes that this year's cub would survive. "Last year was so heartbreaking," as one person tweeted, while another said, "Good luck, little Butterstick 2 !!!" Mei Xiang had previously given birth to two cubs. Tai Shan was born in 2005 and a week-old cub died last September. Panda cubs are especially delicate and vulnerable to infection and other illness. They are about the size of a stick of butter at birth. The first weeks of life are critical for the cubs as mothers have to make sure they stay warm and get enough to eat. Zookeepers said at a news conference on Friday night that giant pandas give birth to twins 50 percent of the time, so they will continue to keep an eye on Mei Xiang for 24 hours. Costa Rica’s decision to close its last two state zoos has been hailed as a breakthrough for animal rights, but in the short term it could mean a legal battle as well as a major readjustment for the sloths, tapirs, jaguars and other creatures that have found refuge there. Furthering its reputation as a conservation pioneer, Costa Rica announced last month that it will no longer use public funds to keep animals in cages. This means the Simon Bolivar zoo in San Jose and the Santa Ana conservation centre will close when existing operating contracts run out next year. The animal residents - 300 individuals from 60 species in the case of the Simon Bolivar zoo - will be released into the wild or found new homes in private shelters. The land will be used as a botanical garden. Officials say they have “declared peace with nature” through a series of biodiversity initiatives that have won international awards, including extensive preservation and reforestation programmes funded by fuel taxes, car stamp duties and energy fees. But while its latest step is widely hailed as progressive in principle, the details are likely to prove contentious. The small Simon Bolivar inner-city zoo attracts more than 130,000 visitors a year, runs education programmes and has its own policy of releasing animals back into the wild whenever possible. Four decades into its establishment, the Dhaka Zoo is yet to be coming along let alone modernising its outward appearance. No genuine attempts had been taken over the period of time to develop the zoological park. The incumbent government earlier undertook a five-year project between the year of 2013 and 2017 involving around Tk3.48bn to endow the two zoos in Dhaka and Rangpur with modern facilities. But the plan which was supposed to take effect this year is now stuck in bureaucratic tangle. Prior to undertaking the project, the Department of Livestock conducted a digital survey with the help of Buet specialists and finally prepared a report based on its findings, according to a source. A number of factors including the area of the facilities, the number of animals, shades, streets, lakes, shops and trees inside the zoological garden were considered while preparing the report. The report was finally submitted to the livestock department last year. The Bangladesh University of Engineering and Technology team of specialists sought 2% of the total project fund in return for preparation of the structural design and master plan of the project. But they were refused, and the job was handed over to the government’s architecture department as it offered to do the work free of cost. However, the government architects are yet to kick off the project work though seven months have since elapsed. Dhaka Zoo, set up on an extensive land of 186 acres is ranked fourth among all the zoological parks across the world, in terms of the area it covers. But unlike other zoos, Dhaka’s one does not have much to offer, other than showcasing the encaged animals there. Each day, thousands of crowds from all walks of life throng the zoo and walk miles after miles on foot to enjoy the tricks of monkeys and other animals. For most us, the idea of having a panda looking on as we try to procreate is unlikely to be a turn-on. But for the male giant panda, this could be what they need. Potentially earth-shaking research suggests that male pandas, famous for their struggles in "shaping up", are much more attentive to females when exposed to the smell of a rival. Giant pandas are an endangered species, with fewer than 2,000 left in the wild. Attempts to breed more in zoos have had limited success: only a quarter of adult males have mated naturally in captivity, and natural mating accounts for only about 40 per cent of successful breeding. No baby panda has been born in a British zoo, though there are hopes that Tian Tian, in Edinburgh Zoo, may be pregnant, thanks to artificial insemination. Menopause seems like a cruel prank that Mother Nature plays on women. First come the hot flashes, night sweats, vaginal dryness, irregular periods, irritability and weight gain. Then menstruation stops and fertility ends. Why, many women ask, must they suffer through this? Evolutionary biologists, it turns out, ask themselves more or less the same question. How on Earth could such a seemingly maladaptive trait ever evolve? From a Darwinian point of view, menopause is just weird. In the game of evolution, winning means securing your genetic legacy by having as many children as possible. So it seems counterintuitive that evolution would produce women whose fertility disappears decades before they die. That’s why it’s not surprising that some researchers think women’s postmenopausal lives are just an artifact of modern society. Now that we’re healthier and living longer, they suggest, women are outlasting the fixed supply of eggs they have from birth. Yet there’s evidence that menopause goes all the way back to the Stone Age, Daniel Levitis of the University of Southern Denmark and colleagues conclude in the March/April Evolutionary Anthropology. More than 200 marine animals died this spring at the Portland Aquarium from starvation, infection, high temperatures, animal-on-animal attacks and unknown causes, according to a death-log obtained by The Oregonian. Among the casualties were bamboo sharks, sea horses, garden eels, sea stars, crabs and dozens of fish. Barbara Baugnon, a spokeswoman with the Oregon Humane Society, which helps enforce state animal-cruelty laws, said her agency is investigating the nine-month-old aquarium. She declined to provide specifics. A minor injury sustained by an animal keeper at Mysore Zoo has taken a turn with the association, representing workers employed on contract basis, accusing the zoo administration of negligence, which is denied by the zoo officials. According to Sri Jayachamarajendra Zoo Temporary and Contract Employees' Association, the zoo administration has failed in getting proper medical care to the injured keeper Shivashankar. It has also sought a probe into the matter. An elephant attacked Shivashankar while he was working at the enclosure of pachyderms August 13. He was later taken to a private hospital in Nazarbad. According to Association president A M Nagaraju, the injured worker was discharged the same evening, "because the zoo officials insisted the doctors to send him home". However, Shivashankar was again admitted to the hospital in the night as he complained of chest pain. He had collapsed when the elephant had pushed him from its trunk and hit him on the left side of his chest. "But the doctors discharged him without hours of his admission. When we asked them, they said that they were pressurized to do so by the zoo officials," Nagaraju told TOI. "They didn't extend him medical care," he claimed, and sought the zoo to extend compensation. A senior official attached to the zoo said that Shivashankar was taken to the hospital and discharged following medical advice. He later complained of pain, which is also attended to at the hospital. "Zoo executive director B P Ravi had visited the injured," he said, and denied negligence on their part. "In fact, Shivashankar is back to work," he added. A $2 million gift from businessman David Rubenstein will allow the Smithsonian's National Zoo to nearly double the size of its Asian elephant herd. The zoo announced Tuesday that it will receive three female elephants in an open-ended loan from the Calgary Zoo in Canada, which is relocating its elephants to more suitable habitats. The move will be funded entirely by Rubenstein, a co-founder of the Washington-based private equity firm The Carlyle Group. In 2011, Rubenstein gave $4.5 million to the zoo's giant panda program. He has sat on the Smithsonian's Board of Regents since 2009. The new elephants will arrive sometime in spring 2014, the zoo announced. They will spend at least 30 days in quarantine before joining the zoo's existing herd of four Asian elephants. The zoo's elephant habitat reopened in March after a seven-year, $56 million overhaul that nearly tripled the elephants' living space. It can house up to 10 adult elephants and their young and includes a walking trail, sand and rubber floors and a shower the elephants can operate themselves. Two of the new elephants, Kamala and Swarna, were born in the wild and are nearly 40 years old. They were brought to the Calgary Zoo from an elephant orphanage in Sri Lanka in 1976. The third elephant, Maharani, is Kamala's female offspring and was born in captivity in 1990. Kei Osada, 41, is the man behind the recent success of a government effort to reintroduce the crested ibis as part of a captive breeding program for the species that once became extinct in the wild in Japan. 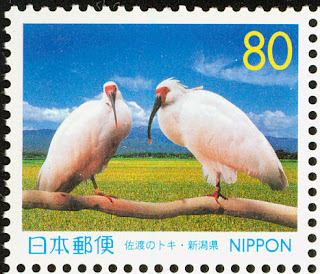 In the three years since he took charge of the reintroduction scheme at the Sado Japanese Crested Ibis Conservation Center in Niigata Prefecture in June 2010, 12 chicks hatched in the wild have fledged. Of the 12, the eight hatched last year were the first wild crested ibises to leave their nests in 38 years in Japan. Following the successful fledging of the birds, Osada returned to the ministry’s Tokyo headquarters in July. Japanese-born crested ibises became extinct in 2003, after their number plunged rapidly since the Meiji Era (1868-1912) due to rampant hunting for their meat and feathers and the extensive use of pesticides. In a bid to reintroduce the species, the government in 1999 started an artificial breeding program with a pair of crested ibises on loan from China, and the first birds bred at the center were released into the wild in 2008. Osada was dispatched to the center to tighten management after nine birds that were ready to be released into the wild were attacked and killed in their enclosure by a marten in March 2010. The Turtle Conservation Centre (TCC) in Cuc Phuong National Park in central Ninh Binh Province on Monday received 71 endemic Vietnamese turtles that had been sent back after being bred for five years in two European countries. The turtles, which were returned from the Rotterdam Zoo in the Netherlands and the Munster Zoo in Germany, are the first to be bred overseas and returned to Vietnam, said Truong Quang Bich, director of the Park. They are Vietnamese pond turtles (Mauremys anamnesis), one of three endemic freshwater turtle species in Vietnam, found only in lowland wetlands, rivers, lakes, and ponds in some central provinces. These 71 turtles will join the more than 200 others already being rescued at the TCC. Most of them have been handed to the center by concerned agencies that seized them from illegal traders of wildlife, and by locals who voluntarily offered their turtles to the center. A small part of them have been born in the center, Bich said. As part of the Mauremys Annamensis Project (MAP) managed by the Asian Turtle Programme (ATP), all the turtles will be released into their best habitat in central Quang Ngai province in the future, when their ability of adaptation to outside living environment is improved, said the TCC’s director, Bui Dang Phong. The UP cabinet sanctioned the setting up of a night safari in Greater Noida. In May 2012, the chief minister had given in principle approval for the project on 102-hectares of land near Gautam Budh Nagar University in Greater Noida. Originally proposed by Mulayam Singh during his chief ministerial regime in 2005, the project was put on hold following a regime change in 2007, even though it allegedly had all clearances from the Supreme Court and the Central Zoo Authority. Jubilant conservationists expressed hope Tuesday for the survival of the critically-endangered Giant Ibis after a nest of the bird species was discovered in a previously unknown habitat in northeastern Cambodia. Habitat loss and poaching has pushed the Giant Ibis to the edge of extinction, with around only 345 of the reclusive creatures -- distinctive for their bald heads and long beaks -- left anywhere in the world, 90 percent of them in Cambodia. A farmer in Cambodia's Stung Treng province discovered the nesting site a few kilometers inland in the biodiverse Mekong Flooded Forest area last month, the World Wildlife Fund (WWF) said in a statement. An inspection team from the WWF later saw an adult bird sitting on the nest with two eggs. "The discovery of the Giant Ibis nest on the Mekong is extremely significant because it provides hope for the species' survival," said Sok Ko, Forestry Administration official and Bird Nest Project officer with WWF. The Giant Ibis — or Thaumatibis gigantea — was listed on the Red list of the International Union for Conservation of Nature (IUCN) in 1994 as critically endangered, the group said, with its habitat limited to Cambodia, Laos and Vietnam. "For Giant Ibis to survive ... it is key to secure breeding groups in more places. This one nest is part of securing the future for the species," Gerry Ryan, WWF's Research Technical Advisor, told AFP. Lin Ping has long been regarded as China's panda ambassador and now Chiang Mai Zoo will soon be home to some new foreign ambassadors - two gorillas from Uganda. The gorillas, a male and female and aged between three and five years olds, are gifts from the Ugandan government and will arrive at Chiang Mai Zoo before the end of this year, said Department of National Parks, Wildlife and Plant Conservation’s director general Manopat Huamuangkaew. "We are now preparing to build a new home for these two gorillas," he said on Wednesday. The gorillas have been given to the zoo following an agreement reached between the Thai and Ugandan governments during Prime Minister Yingluck Shinawatra's official visit to the country last month. Thailand has just one gorilla, which is resident at the private Pata zoo in Bangkok. Manopat said he is concerned about the living conditions for the incoming apes, explaining that gorillas are social animals.
" We need to study how to improve the environment so that it is more friendly for these two gorillas," he added. Manopat also expressed his concerns at the living conditions of the gorilla at the private zoo. Bernd, a female bearded vulture, that strayed from the Swiss Alps to the Czech Republic, is returning to the wild after the Prague Zoo was taking care of her and feeding her for seven weeks, zoo spokesman Michal Stastny has told CTK. Bernd has been the first bearded vulture spotted on Czech territory. Ornithologists found the exhausted bird in the Krkonose (Giant) Mountains, east Bohemia, at the end of May when it was placed in the zoo in Liberec, north Bohemia. "We admitted the female bearded vulture Bernd in early July. She was exhausted and weighed a mere 4500 grams, but she has recovered strength in the Prague zoo. Weighing 5650 grams, she is ready to return to nature in the Swiss Alps," birds curator Antonin Vaidl said. Bernd was regularly weighed because if the increase in her weight were big, she could not fly. She was mainly fed on brown rats and rabbits while she will live mainly on bones in the mountains. As a zoo CEO drives to work, a radio news report announces that dead birds were found in a park near the zoo. The head of the board of founders of the Nemo dolphinarium chain and the chairman of the supervisory board at Breath of Nature Ltd., Andriy Kyslovsky, has complained that the leadership of Kyiv zoo won't sign an agreement to transform an unfinished primates pavilion located on its territory into an oceanarium. "Knowing the prospects in this issue, that this [primates pavilion] would never be finished, we proposed to redesign this facility into a dolphinarium-oceanarium... On July 12, 2012 Kyiv Council took a relative decision to convert the unfinished pavilion of anthropoid apes into the Kyiv oceanarium. We're an investor in this project," Kyslovsky said at the press conference hosted by Interfax-Ukraine on Thursday. Moreover, he said that the agreement on joint activities to implement the investment project, which Kyiv city council ordered zoo leadership to sign over a year ago, has not been signed yet. Saudi Arabian bats could be the animal origin of the mystery infection Middle East respiratory syndrome (MERS), researchers conclude after establishing a 100 percent genetic match. The discovery was made by scientists conducting the first investigation into infectious animal reservoirs in Saudi Arabia, where the majority of human cases have been reported. The genetic match represents a significant step toward containing the disease that has so far killed 47 of the 100 people it has infected worldwide. Advances in genomics might help us live longer, healthier lives, but not necessarily in the ways you are thinking. The secret to increasing human longevity could lie in the genome of our flying mammal frenemy, the bat. They might seem small and delicate, but they are actually pretty tough. They live long lives for their size, and seem to withstand the diseases and other effects of aging that bring other animals down. Because of that, scientists have been studying them for clues to their hardiness by analyzing their genomes. Last year, a group led by "Bat Man" Lin-Fa Wang, of Duke-NUS Graduate Medical School in Singapore, sequenced the entire genome of two distantly-related bat species: the flying black fox and David's Myotis. An analysis of these genomes found one key to bats' tough immune systems: their ability to fly. TWYCROSS Zoo says it is “disappointed” with the Crown Prosecution Service’s decision not to prosecute three keepers for alleged elephant abuse. The trio were sacked by the zoo for the abuse of the two elephants. Leicestershire Police had prepared a file for the Crown Prosecution Service in relation to the accusations that the staff members had mistreated the animals last year. But the CPS say there is insufficient evidence to take the case to court. A spokesman for the zoo said: “Twycross Zoo is disappointed that the Crown Prosecution Service has decided not to prosecute three ex-members of staff in relation to the Animal Welfare Act. The individuals had been previously dismissed for not upholding their duty of care to the animals in their care. “On discovery of the issue, the zoo acted immediately by reporting the issue to the Leicestershire Police. The relevant zoo authorities were also informed. A spokesman from the CPS said: “CPS East Midlands has examined evidence presented to us by Leicestershire Police in relation to allegations of mistreatment of elephants at Twycross Zoo. The State Cabinet has finally lifted the export ban of Sabah's Sumatran rhino - genetic material wise and animal wise - and authorised the State Wildlife Department to exhaust all options available to breed the animal to avert its extinction in Sabah. That means Cincinnatti Zoo, engaging top natural breeding experts like Dr Terri Roth, IZW Germany, Way Kembas National Park Indonesia, artificial insemination and eventually an attempt at even test tube babies, etc, are now on the table as Sabah pursues "all options" to leave no stones unturned. State Culture, Tourism and Environment Minister Datuk Masidi Manjun told a conference, Tuesday: "We are creating a global concern rather than just a Sabah concern and I know Cicinnatti Zoo, IZW and the Indonesians are more than happy to offer their technical knowledge and advice. "If we don't want export, we don't want to loan, we just leave in hope some miracles will happen whether they can mulptiply, of course the risk is that rhinos in Sabah may go extinct altogether even in our life time," Masidi said, in explaining the new State policy. "Having done all that is reasonable to ensure they multiply on our own soil, I think we have to make a very difficult choice but for us we think is the right choice - to send one sperm to be inseminated in healthy nine year old female Suci in Cincinnatti Zoo. And if that fails, probably we want to send Tam (reproductive male at Tain Wildlife Reserve) to the Cinccinatti zoo on a one year loan," Masidi said. Globally, it is believed there are only about 100 such animals left with 10 in Sabah. It’s funny how there are so many misconceptions, and concerns that stem from those misconceptions, regarding the use of positive reinforcement and other minimally intrusive methods in animal training. While numerous self-proclaimed practitioners and authoritative figures are still at large in the unregulated animal training industry, the misinformation that they spread to consumers is easily discredited by over 100 years of scientific research on the principles of behavior. Sticky ideas may sell, however applied behavior analysts and credentialed behavior technologist in the field of animal behavior change uniformly agree how to best apply the principles of behavior and utilize the technology of behavior change. After all, behavior science is a hard science just like biology, chemistry, and physics, and the laws of behavior are just as true as the law of gravity. The very serious thing about this issue, is that acting on misinformation, using aversive behavior change practices, and implementing training methods inappropriately directly impacts the behavioral health and welfare of animals, and the ongoing culture wars in the current state of the industry impacts the wellbeing of the credentialed professionals who are trying to protect them. Sattahip’s Sea Turtle Conservation Center released 982 turtles into the wild in celebration of HM the Queen for her 81st birthday. Adm. Thaweewuth Pongphipat presided over the Aug. 13 event at the Sattahip Naval Base facility attended by more than 1,000 government workers, celebrities, television actors, teachers and students. Penguin lovers will be treated to a unique insight into the charismatic birds’ lives as world-leading experts come to Bristol for the 8th International Penguin Conference. It’s the first time the conference has been held in Europe, with 200 delegates from 30 countries sharing their latest research and knowledge between 2 and 6 September. Members of the public are invited to get involved thanks to two unique events organised by the conference hosts - the University of Bristol and Bristol Zoo Gardens. Bristol University graduate Elizabeth White, one of the directors of the popular Frozen Planet series, will be part of a free panel discussion entitled ‘Penguins on Film’ being held in the Wills Memorial Building on Wednesday, 4 September. Footage from the BBC Natural History Unit, captured by a crew who spent four months with a penguin colony in the Antarctica, will show how Adelie penguins steal stones from its neighbours’ nests to elevate and protect their eggs from run-off when the Antarctic ice melts. Captivating slow motion footage will illustrate that penguins can ‘fly’, showing how Emperor penguins – the largest of all penguins, reaching up to 120cm tall – manage to get airborne by swimming at speed towards the surface of the water and landing back on the ice. For further details about the ‘Penguins on Film’ event, please see here. It’s free but booking is required. There will also be an opportunity to learn more about the African penguin at Bristol Zoo Gardens on Saturday, 7 September, with activities for all the family and the chance to meet scientists and conservationists who work with African penguins in South Africa and Namibia. With five penguin species listed as endangered and a further six as vulnerable, work to ensure the survival of penguins in the wild has never been more important. Over 60 presentations at the International Penguin Conference (IPC) will help to share new research, new conservation techniques and improved husbandry methods to try and prevent these species from becoming extinct. Online at <www.zoosprint.org> in a format that permits you to turn pages like a regular magazine. THE police investigation into the death of a woman at South Lakes Wild Animal Park in Cumbria has concluded. Police carried out the investigation into the death of Sarah McClay on May 24 when Padang, a Sumatran tiger, grabbed her and dragged her 100 yards into the enclosure mauling her to death. The investigation now concluded and has been passed to the coroner. Barrow Borough Council as the licensing authority is carrying out an investigation into events at the zoo. Shortly after 1:30 p.m. on Feb. 24, 2010, a SeaWorld Orlando trainer lost her life in a tragic accident involving one of the park’s killer whales. The death of Dawn Brancheau was an occasion of almost unbearable sadness for those closest to Dawn — her family, friends and colleagues at SeaWorld. I was honored to know Dawn and count myself among those SeaWorld team members deeply affected by her loss. Dawn’s death has been the subject of thousands of articles, broadcast news stories, blogs, books, and now a feature film called Blackfish. Many of these accounts trade in the details of Dawn’s death in graphic detail. They do so not to inform but, rather, regrettably, because of the desire to sensationalize. The three years since Dawn’s death have seen the emergence of individuals who have chosen not to honor her memory, but rather to use the events of Feb. 24, 2010 to advance their own interests. Some seek commercial gain. Others seek to forward a political or philosophical agenda. Still others appear to be engaged in self-promotion. A SENIOR Monarto Zoo zookeeper has failed in her Federal Court bid to return to her job with the primates following a "high risk" pregnancy. Cassandra Rowe began working for the Royal Zoological Society of South Australia in 2009 and was the Senior Keeper of Primates. She went on maternity leave between early 2010 and May 2011. In her Federal Court action Ms Rowe claimed that, when she returned to work, she experienced an increased workload and an unsupportive manager who told her on several occasions that he was "not a fan of part-time employees". Ms Rowe claimed she sent an email to the Human Resources Manager outlining her concerns about the workplace issues, advised her there were safety concerns and informed the manager that she was being discriminated against due to her new pregnancy and part-time status. She claimed the Human Resources Manager subsequently told her there were concerns regarding her "high risk" pregnancy and that she was being sent home immediately with pay. Ms Rowe said in October 2012 she met with a zoo representative who advised her that she would not be permitted to return to her pre-maternity position as Senior Keeper of Primates. She claimed she was not provided with reasons for the decision and was only told "the other staff members do not want to work with you or see you". Ms Rowe told the court she was advised to attend mediation with all employees in the primate section and during the sessions she developed "adverse psychological symptoms". The Jakarta administration is preparing to hold a public hearing in October to discuss the future of Ragunan Zoo with the hope of improving maintenance efforts and to raise its presence internationally. The zoo, according to Jakarta Deputy Governor Basuki Tjahaja Purnama, is the world’s third largest zoo to be located in a city and is approximately four to five times bigger than Singapore Zoo. But poor maintenance and development efforts over the years have seen the facility deteriorate in quality. “As such, on October 3, we will be holding something like a public hearing. We want to know the direction in which Ragunan’s future development is headed, whether it will be developed more as a park or whether it should get more animals,” Basuki said at City Hall on Friday. Basuki said he would like to see Ragunan either host more wild animals or have no animals at all, making it similar to the Bogor Botanical Garden. “But others may not agree,” he said. The government is also considering changing the current zoo entrance fee, which is Rp 4,000 (37 US cents) per person, as it takes into account the varying zoo ticket prices in other cities. The Smithsonian National Zoo in Washington, D.C., charges no entrance fee, allowing visitors to enjoy the park for free. In Surabaya, however, the entrance fee is Rp 20,000 per person. Meanwhile, in terms of financing, the government plans to involve private companies as sponsors as well as use the annual city budget. With an estimated total population of only 300 all over the world, two female born white lion cubs was added to this little number here in our country last May 18. The cubs were from the pair of white lions that were donated to Zoobic Safari by Sheikh Mohammed Bin Rashid Al Maktoum Vice President and Prime Minister of UAE and ruler of Dubai. White lions are extremely rare and have not been seen in the wild in more than 15 years. They are not albino; their white coloration is the result of a recessive gene known as a color inhibitor specific to their native region. In line with Zoobic Safari’s conservation and animal care program, the two white lions will be exhibited at the zoo to educate further its guests regarding the importance of conservation as a key to survival of the many species. The Oregon Zoo has released the last of the 850 of their endangered butterflies along the coast. Oregon Silverspot Butterflies have been let go throughout the summer at Bray Point or Rock Creek to help stabilize declining populations of the threatened species. A syndicate of 16 zoo workers has gone wild after a £1m win on the EuroMillions millionaire raffle. The syndicate at the Welsh Mountain Zoo in Colwyn Bay in Conwy county will receive £62,500 each. Animal collection manager Peter Litherland said he hoped to go to Australia to see animals in the wild that he usually saw in the zoo. Others in the syndicate, made up of zoo keepers, office staff and gardeners, plan to buy new homes and cars. The group only realised they had won last Friday's raffle when the syndicate leader went to buy the following week's tickets online. Mr Litherland, 50, said they were all still "absolutely stunned". "We cannot believe that something like this could happen to us," he said. "I just hadn't even bothered to check the ticket as we never believed we would win. It was only when I went to buy our next tickets online that I realised we had won. "I turned my laptop to my girlfriend who was sat next to me because I just could not believe it. Speak out against public handling of big cats!.